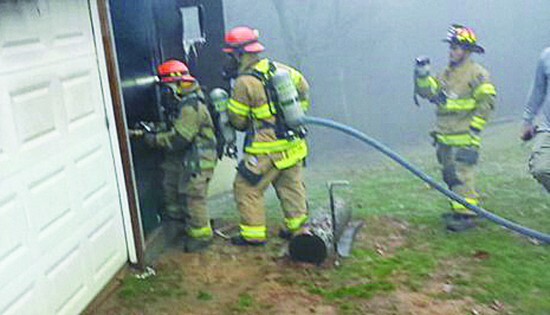 On Saturday, January 9, 2016, at 4:45pm, the Galax Fire Department was dispatched for a structure fire at 6891 Pipers Gap Road. Upon arrival, Engine 1 found a 10×20 metal outbuilding on fire. The home owner was using a garden hose in an attempt to extinguish the fire. Engine 1’s crew pulled an attack line, and completed extinguishment. The building contained multiple items including a lawn mower, 4-wheeler, golf cart, and a wide variety of tools/equipment. No injuries were reported. Pipers Gap Rescue and the Carroll Co Sheriff’s Office assisted at the scene. Fire crews remained on scene for approximately 45 minutes.